Paper: Purple shimmery paper for card, inside left and right paste-up and 2 inserts. 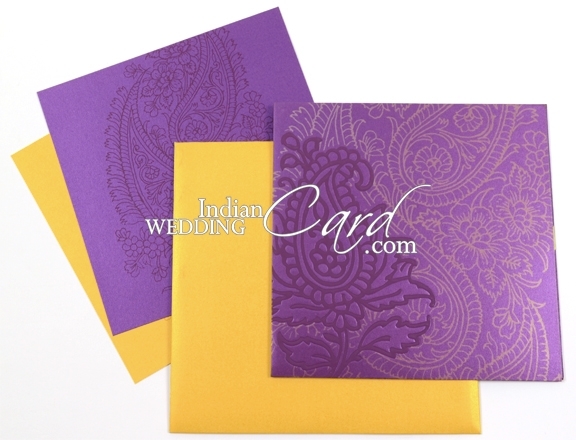 Purple color tracing paper lining inside the envelope. 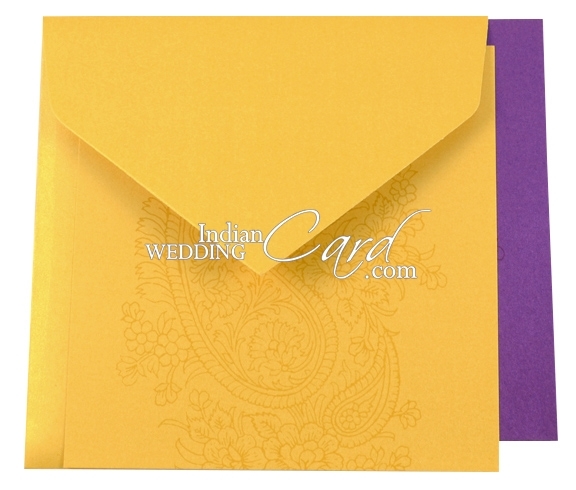 Envelope in Occur yellow color shimmery paper. I received the package last night. Thank you they look great! I received my wedding invitations last week. Thank you so much for your quick delivery, great packaging and truly wonderful product!! We received both packages and are very very happy with its contents. The invitation is splendid. 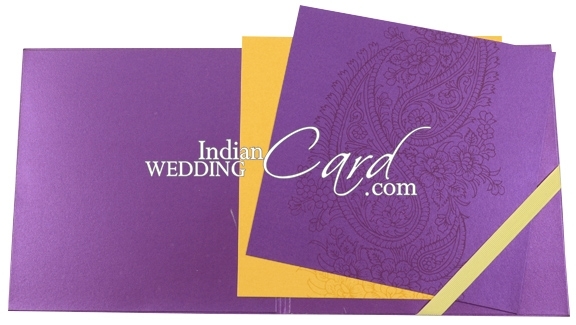 You were right, the translucent cover adds to the beauty of the card.We love it! Thank you guys so very much for working along with us and hopefully this card will help increase your orders.